Before Bonnie Raitt was an acclaimed blues guitarist and singer, she was just a fiery touring act – respected by critics and musicians within the blues circle before reaching anything close to her commercial success of the 1980s through today. 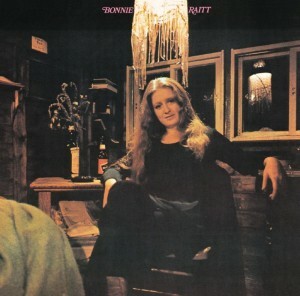 Financial situation aside, though, you might argue the early 1970s were Raitt’s glory days, where she built her tough exterior and a knack for turning roots riffs into unforgettable numbers. This week, on Vinally Friday, Craig will demonstrate why with a few good spins of her self-titled first studio album. Recorded at an empty summer camp on Lake Minnetoka in 1971, the album features a blend of traditional and contemporary blues, with Stephen Stills and Robert Johnson both enjoying writing credits. Robert will follow up with another American blues artist, John Hiatt, who sobered up in 1987 just in time to compile his “dream band” for four days of recording in Los Angeles. 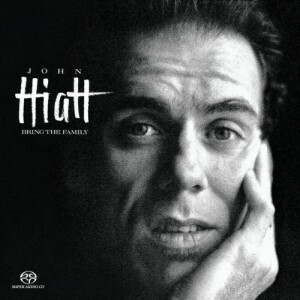 The result was Bring the Family – Hiatt’s eighth album and his first to chart on the Billboard 200. The album is acclaimed by most music critics as the best album of his career. Check out the album’s single, “Thank You Girl” HERE. Tommy will wrap up another day on the turntable with Alice Wolf’s My Love is Cool. Released in 2015, the album marks the first official studio release for the English four-piece but builds upon two previously released EPs with re-recorded versions of prior singles “Fluffy”, “Bros” and “Moaning Lisa Smiles”. Check out the Pitchfork review of My Love is Cool HERE. Another Friday, another day of vinyl – what a great way to ease this transition from the dog days of summer into the crispy days ahead! Finally, it’s Friday! It’s Vinally Friday – only on the Trail 103.3! Special thanks to Pella Windows for sponsoring.